Research findings for surname: Wade of Amherst County, Virginia, for the period of 1750 – 1800. This information was extracted from various sources available at the LDS Family History Library, Salt Lake City, Utah. 12 Jul 1750 Howard Cash, planter, to Jeremiah Wade, planter, for 20 pounds, 180 acres Thrasher’s Creek adjoining Pearce Wade, John Biswell, patented 12 Jul 1750. Witness: Michael Smith, David Wade, Chisley Daniel. Ruth, wife of Howard Cash. 2 Apr 1752 Jeremiah Wade to David Wade for 35 pounds, 180 acres Thrasher Creek adjoinin. Pierce Wade, John Briswell, North branch of Thrasher. Patented to Howard Cash 12 Jul 1750. Witness: James George, Chisley Daniel, Pearce Wade. 10 Apr 1760 Matthew Tucker to Jeremiah Wade for 35 pounds, 378 acres Hardway branches adjoining grantor; William Matlock, James Sheppard, Courthouse road; Charles Bond Patent, no date. Witness: Cornelius Thomas, William Goldsmith, Pearce Wade. 8 May 1760 George Carrington to Pierce Wade for 24 pounds. 413 acres Harris Creek branches, part of patent of 20 Jun 1753 of 6750 acres. 9 Oct 1760 Pearce Wade to John Parks, Sr for 110 pounds, 390 acres patented 1 Jun 1760; Thrasher’s Creek. Mary, wife of Wade. 12 Nov1760 David Wade to William Parks for 75 pounds, 180 acres, patented to Howard Cash 12 Jul 1750; Thresher’s Creek, adjoining Pearce Wade, John Biswell. Elizabeth, wife of David Wade. Witness: Edmond Powell, Thomas Parks, Jonathan Stamper. 28 Mar 1763 Pearce Wade and Joshua Fowler to promise to pay Drury Tucker or heirs, 50 pounds on or before Oct 20 ensuing…bond of 110 pounds. Witness: William Cabell, Jr, Robert Yancey, Richard Powell. 2 Nov 1763 Jeremiah Wade, Albemarle, Pearce Wade, Joseph Ballenger, and Richard Ballenger to George Seaton, 5 schillings two tracts of 400 acres each…one beginning at May’s line; Carter’s line. Second tract – Carter’s line. 800 acres in all and part of tract of 2000 acres on South side of Buffalo under Tobacco Row Mountains and patented to Joseph Ballenger, Pearce Wade…to be conveyed under decree in Albemarle County. One pepper corn to be paid on Lady Day next, if demanded. Witness: Patrick Rose, William Hansbrough, Alexander Reid. 3 Nov 1763 Jeremiah Wade, Albemarle, Pearce Wade, Joseph Ballenger and Richard Ballenger to George Seaton, 160 pounds for sale of the land leased in previous document above (Nov 2, 1763)…two tracts of 400 acres each. Lines: Mays, Carter. Witness: Patrick Rose, William Hansbrough, Alexander Reid. 4 Aug 1764 Pearce Wade and wife Mary, to John Goodwin 25 pounds for 105 acres on West side of Harris Creek. 1 Jul 1765 Pierce Wade to Alexander McCaul, Henrico, for 5 schillings to secure bond to George Kippen and Co, Glasgo Merchants, of 1 Jun1765 and one in McCaul’s possession of same date – tract where Wade now lives – 308 acres. Lines: John Goodwin, John Wales, William Staton, James Crews, Edward Eidson. Also slave, Tobey. Witness: Neil Campbell, Richard Harvie, John Kippen. 2 Sep 1765 Zachariah Taliferro to Jacob Smith, for 20 pounds, 400 acres Franklin & Moll’s Creek. Lines: James Smith, Howard Cash, Pierce Wade, Benjamin Taliaferro. Witness: William Hansbrough, John Loving, John Wright. Wife of Taliaferro consents. 9 Oct1765 George Seaton, to George Kippen & Co., Glasgo Merchants – 5 schillings to secure bond of 9 Oct 1765 of 479, 400 acres joining Henry Franklin and Joseph Ballenger and bought of Jeremiah Wade and also 400 acres bought of Pierce Wade, received in Amherst. Also 400 acres in Henrico left by Mr. Watson to his daughter, Elizabeth, daughter of George Seaton, also 23 slaves, all named. Deed of Trust. Witness: Henry Rose, John Fraser, Neill Campbell. 8 Aug 1766 Robert Whiten to McPherson & Minzies, Henrico merchants, 5 schillings to secure debt 66 pounds half penny and principal of 33 pounds, farthing. 270 acres on Harris Creek. Lines: Pierce Wade, John Goodwin, Joseph Dawson, Thomas Watts. Land Robert Whiten bought of George Carrington and received in Amherst, also stock and household goods. Witness: Thoma. Reid, Gabriel Penn, William Penn. 4 May 1767 George Carrington, Cumberland, to James Crews, for 30 pounds, 578 acres on branch of Harris Creek. Lines: Pierce Wade, Moses Higginbotham, Carrington’s line, Daniel Burford. 6 Jan 1768 John Parks, Sr to George Kippen & Co., Glasgo merchants 10 schillings to secure debt – note made 5 Jun 1764 and account for 48 pounds by Book act at their store in Albemarle, 390 acres on Thresher’s Creek. Land Parks bought of Pierce Wade received in Albemarle, also 2 slaves. Witness: John Harvie, Neill Campbell, John Old, Clough Shelton. 5 Sep 1768 George Carrington, Cumberland, to Richard Peter, Amherst for 14 pounds, 179 acres Harris Creek. Lines: Edward Edson, Pierce Wade. 4 Nov 1771 William Parks and wife, Mary, to John Webb for 110 pounds, 180 acres Thresher’s Creek. Lines: Pearce Wade, John Biswell. Witness: William Parks. 2 Jul 1773 John Webb and wife, Ursula, for 90 pounds, 180 acres on Thresher’s Creek. Lines: Pearce Wade, John Boswall. Witness: William Wilson, Charles Burrus, Noell Johnson. 1 Apr 1774 William Mitchell, Richmond merchant to Richard Oglesby, planter of Goochland for 350 pounds, 800 acres South side Buffalo. Lines: Edward Carter – 400 acres sold to George Seaton by Jeremiah Wade, Joseph and Richard Oglesby and 400 acres adjoining other 400 acres sold to George Seaton by Pearce Wade, et al. Sold to William Mitchell by Seaton. Witness: Charles and Patrick Rose, Charles Irving, John Rose. 3 Mar 1777 Jacob Smith to Ruben Harrison for 50 pounds, 400 acres branch of Franklyn Creek and Moll’s Creek. Lines: James Smith, Howard Cash, Pearce Wade, Benjamin Taliaferro. Witness: John Rose, Edmond Wilcox, Roderick McCulloch, WilliamPollard. 4 Aug 1777 Wiatt Powell and wife, Sarah, to Joseph Lively for 80 pounds, 400 acres Thresher’s Creek. Lines: James Smith, Pierce Wade. 4 Nov 1777 John Hardwick, administrator to Pearce Wade to John Parker for 210 pounds, at 35 pounds a year for 6 years – a certain tract with plantation and mill thereon. 5 Nov 1777 Richard.Peter to Charles Reynolds for 65 pounds, 179 acres Harris Creek. Lines: James Crews, Pearce Wade. 2 Aug 1784 Richard Ballinger and wife, Elizabeth, to John Sale for 200 pounds, 180 acres on Thresher’s Creek; patented 12 Jul 1750. Lines: Pearce Wade, John Biswell, North branch of the creek. Also, another tract of 250 acres on same creek and North side of Moll’s Mountain and adjoining Aaron Higginbotham. 5 Sep 1791 William Damron to William Mickel, Campbell, for 200 pounds, 214 acres Harris Creek. 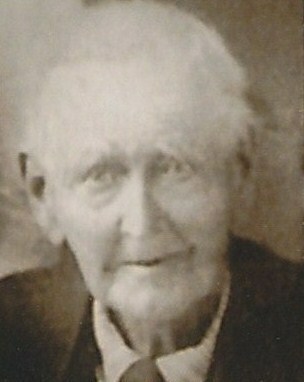 Bought of Pearce Wade of William Staton, deceased and sold by Wade to Damron. Lines: Mouth of a Pole Cat. 18 Mar 1799 Ballenger Wade and wife Salley, Henry Co., to James Mays, son of Robert Mays for 170 acres on Stonehouse Creek, formerly granted to Pearce Wade, father of Ballenger Wade by patent of 20 Sep 1786. Lines: John Freeland. Witness: William Sydney Crawford, James Dillard, Jame. Carpner. 13 Aug 1799 Ballenger Wade and wife, Sarah, and David Wade Sr and wife, of Fluvanna, Ballenger of Amherst, to Perrin Giles for 40 pounds, 400 acres both sides Thresher’s Creek. Lines: Pearce Wade. Witness: Charles Ellis, Ashcraft Roach, John Giles. 21 Oct 1799 James Mays and wife, Creasy, to Hensley Carpenter for 45 pounds, 170 acres Stonehouse Creek; tract granted to Pierce Wade, father of Ballinger Wade, by patent 20 Sep 1768. June 1746 John Wade 128 acres. June 1746 John Wade and wife, Elizabeth, to Andrew Herston. 9 Jun1752 John Wade and wife, Mary, to John Green for 8 pounds, 128 acres, branches of Hat Creek near Blue Mountains. Witness: Duncan Cameron, John and Thomas Reid. 9 Apr 1761 John Wade and wife, Elizabeth, to William Trotter for 10 pounds, 200 acres both sides Davis Creek. 5 Sep 1763 John Wade to William Whitsitt, 40 pounds for 200 acres on North fork of Davis’ creek, branch of Rockfish. Line of William Trotter. Half of tract bought from William Wright. Elizabeth Wade, wife of John Wade. 1 Oct 1765 Dawson Wade, to Charles Tate for 10 schillings, 60 acres S branch of North fork of Davis Creek. Lines: John Wade. 7 May 1767 John Wade and wife, Elizabeth, to William Horrall for 3000 pounds tobacco – 114 acres and part of 214 acres “adjoining the track” where John Wade now lives containing 300 acres on North branch of Davis Creek. John and Elizabeth signed with an “X”. 24 Mar1768 William Wright and wife, Esthe,r for love borne their son, John Wright, 200 acres on Davis Creek – part of tract whereon William Wright now lives. Lines: William Wright, John Wade, Col. Chiswell. 26 Mar 1772 William Trotter to William Horral for 210 pounds, 333 acres both sides Davis Creek – 200 acres, part sold by John Wade and wife, Elizabeth, to William Trotter in Albemarle on 9 Apr 1761; 133 acres adjoining patent to Trotter 1 Jun 1750. Witness: James McAlexander Jr., Samuel McAlexander, William Dever, John McAlexander. 1 Oct 1773 William Horral and wife, Mary, to Thomas Fontaine for 80 pounds, 262 acres on Head branch of Davis Creek and head of Rucker’s Run. Part of 3 “surveys”. Lines: John Wade, Charles Tate, Joell Crawford, Laurence Suddarth. Witness: Abraham Seay, John Thurmond. 7 Mar 1775 John Wade to Samuel Denny for 60 pounds, 80 acres where Denny lives. Lines: Old survey, Butler ridge. 7 Mar 1775 John Wade to James Cull for 40 pounds, 50 acres, part of place where Wade “liveth”. Lines: Charles Tate. Oct 1777 John Wade to Archelus Coffe for 120 pounds, 150 acres South fork of North branch of Davis Creek. Lines: William Allen, 3 Springs, the road, James Cull, the Mountain, Samuel Denny, James McAlexander. Witness: On 6 Oct 1777, Michael McNeely, Alexander Reid, Jr, Nicholas Cabell, Edmond Wilcox. 5 Oct 1778 Archelaus Coffey and wife, Eleanor, to John Wade for 70 pounds, 50 acres South branch of North fork of Davis. Lines: James Cull, William Allen, Samuel Denny, Mountain line. 5 Oct, 1778 Archelaus Coffey to James McAlexander Jr, for 200 pounds, 100 acres South branch of North fork of Davis Creek. Lines: William Allen, 3 springs, John Wade, James McAlexander. Eleanor, wife of Coffey. 5 Mar 1781 James Cull and wife, Mary, to Bond Burnett for 55 pounds, 50 acres South fork Davis Creek. Lines: Charles Tate, John Wade, spur of the mountain, to the road, orchard fence, William Allen, John Wade’s old line. 2 Apr 1784 William Horrell and wife, Elizabeth, Albemarle, to Abner Witt for 100 pounds, 193 acres North side North branch Davis Creek. Lines: John Wade, (as were) which he sold to William Martin, and Martin to John Harris. Witness: Littleberry Witt, William and Lewis Witt. 17 Dec 1789 Bond Burnett and wife, Isabell, to Jacob Puckett for 60 pounds, 50 acres Davis Creek; formerly tract of John Wade, deceased. Lines: Along the road. Witness: James McAlexander Jr, William Burnett, Alexander McAlexander. 20 Apr 1789 Jesse Shasteen and wife, Elinor, and Elizabeth Wade to Jacob Puckett, for 35 pounds, 50 acres “formerly” that of John Wade, deceased, North fork Davis. Lines: James Cull, and old road, William Allen’s gate, the Three Springs on Archelaus Coffey’s line, Samuel Denny, the grave yard. Witness: Alexander McAlexander, Micajah Burnett, Zachariah Burnett, William Burnett. 21 Oct 1793 Charles Tate and wife, Charity , AC & Parish, to John Watkins, AC& Parish for 50 pounds, 3 adjoining tracts – 183 acres South branch North fork Davis. Lines: John Wade, his own middle fork Davis Creek. 20 Oct 1794 John Watkins and wife, Katherine, AC & Parish, to Jacob Puckett, same Parish, for 50 pounds, 3 tracts by survey – 184 acres South branch of North fork David Creek. Lines: John Wade, his own, middle fork, Davis Creek. Jun 1746 John Wade and wife, Elizabeth, to Andrew Herston. 12 Nov1760 David Wade to William Parks for 75 pounds, 180 acres patented on to Howard Cash 12 Jul 1750; Thresher’s Creek, adjoining Pearce Wade, John Biswell. Elizabeth, wife of David Wade. Witness: Edmond Powell, Thomas Parks, Jonathan Stamper. 4 May 1767 John Wade and wife, Elizabeth, to William Horral, for 3000 pounds tobacco 114 acres and part of 214 acres “adjoining the track” where John Wade now lives containing 300 acres on North branch of Davis Creek. John and Elizabeth signed with “X”. 26 Mar 1772 William Trotter to William Horral, for 210 pounds, 333 acres both sides Davis Creek – 200 acres, part sold by John Wade and wife, Elizabeth, to William Trotter in Albemarle, on 9 Apr 1761; 133 acres adjoining patented to Trotter 1 Jun1750. Witness: James McAlexander Jr, Samuel McAlexander, William Dever, John McAlexander. 22 Feb 1777 Elizabeth Wade gives up all “hole” living and possessions to my eldest son (boy) Jacob Pettyjohn – cattle, furniture, spinning wheel (2), 2 dishes and two basons. Witness: John Henry Goodwin, Richard Harrison, Jr, George Bond, William Pettyjohn. Proved 4 Aug 1777. 20 Apr 1789 Jesse Shasteen and wife, Elinor, and Elizabeth Wade, to Jacob Puckett for 35 pounds, 50 acres “formerly” that of John Wade, deceased, North fork Davis. Lines: James Cull, an old road, William Allen’s gate, the Three Springs on Archelaus Coffey’s line, Samuel Denny, the grave yard. Witness: Alexander McAlexander, Micajah Burnett, Zachariah Burnett, William Burnett. 20 May 1749 Francis Baker and wife, Mary, to William Shelton of St. David’s Parish, King William, for 5 schillings lease 366 acres adjoining Abraham Venable, Ebenezer Adams; patented to Jamess Nowling of Goochland 1 Jun 1736 – 1 year – 1 grain of corn on demand. Witness: David Wade, Abraham Childress, John Wright. 12 Jul 1750 Howard Cash, planter, to Jerermiah Wade, planter, for 20 pounds, 180 acres Thrasher’s Creek adjoining Pearce Wade, John Biswell. Patented 12 Jul 1750. Witness: Michael Smith, David Wade, Chisley Daniel. Ruth, wife of Howard Cash. 2 Apr 1752 Jeremiah Wade to David Wade for 35 pounds, 180 acres Thrasher Creek adjoining Pearce Wade, John Biswell, North branch Thrasher. Patented to Howard Cash, 12 Jul 1750. Witness: James George, Chisley Daniel, Pearce Wade. 12 Nov 1760 David Wade to William Parks for 75 pounds, 180 acres, patented to Howard Cash 12 Jul 1750; Thresher’s Creek, adjoining Pearce Wade, John Bisswell, Elizabeth, wife of David Wade. Witness: Edmond Powell, Thomas Parks, Jonathan Stamper. 4 Jul 1765 John Henry and John Syms, Hanover, to John Ryan for 131 pounds, 524 acres on Tye. Lines: Rose. Witness: Charles McPhearson, William Anderson, John Parks, John Jacobs, David Wade. 13 Aug 1799 Ballenger Wade and wife, Sarah, and David Wade and wife of Fluvanna, to Perrin Giles for 40 pounds, 400 acres both sides Thresher’s Creek. Lines: Pearce Wade. Witness: Charles Ellis, Ashcraft Roach, John Giles. 12 Jul, 1750 Howard Cash, planter to Jeremiah Wade, planter for 20 pounds, 180 acres Thrasher’s Creek adjoining Pearce Wade, John Biswell. Patented 12 Jul 1750. Witness: Michael Smith, David Wade, Chisley Daniel. 2 Apr 1752 Jeremiah Wade to David Wade for 35 pounds, 180 acres Thrasher Creek adjoining Pearce Wade, John Biswell; North branch Thrasher. Patented to Howard Cash 12 Jul 1750. Witness: James George, Chisley Daniel, Pearce Wade. 10 Apr 1760 Matthew Tucker to Jeremiah Wade for 35 pounds, 378 acres Hardway branches adjoining grantor; William Matlock, James Sheppard, Courthouse Road, Charles Bond. Witness: Cornelius Thomas, William Goldsmith, Pearce Wade. 2 Nov 1763 Jeremiah Wade, Albemarle, Pearce Wade, Joseph Ballenger, and Richard Ballenger, Amherst, to George Seaton, 5 schillings, two tracts of 400 acres each…and beginning at May’s line; Carter’s line. Second tract – Carter’s line. 800 acres in all and part of tract of 2000 acres on South side of Buffalo under Tobacco Row Mountains and patented to Joseph and Richard Ballenger and late in tenure and occupation of Jeremiah and Pearce Wade…to be conveyed under decree in Albemarle County. One pepper corn to be paid on Lady Day next, if demanded. Witness: Patrick Rose, William Hansbrough, Alexander Reid. 3 Nov 1763 Jeremiah Wade, Albemarle, Pearce Wade, Joseph Ballenger and Richard Ballenger to George Seaton 160 pounds for sale of the land leased in previous document above…two tracts of 400 acres each. Lines: May, Carter. Witness: Patrick Rose, William Hansbrough, Alexander Reid. 9 Oct 1765 George Seaton to George Kippen and Co., Glasgo merchants, 5 schillings to secure bond of 9 Oct 1765 of 479, 400 acres joining Henry Franklin and Joseph Ballenger and bought of Jeremiah Wade and also 400 acres bought of Pearce Wade. Also 400 acres in Henrico left by Mr. Watson to his daughter, Elizabeth, wife of George Seaton, also 23 slaves, all named. Witness: Henry Rose, John Fraser, Neill Campbell. 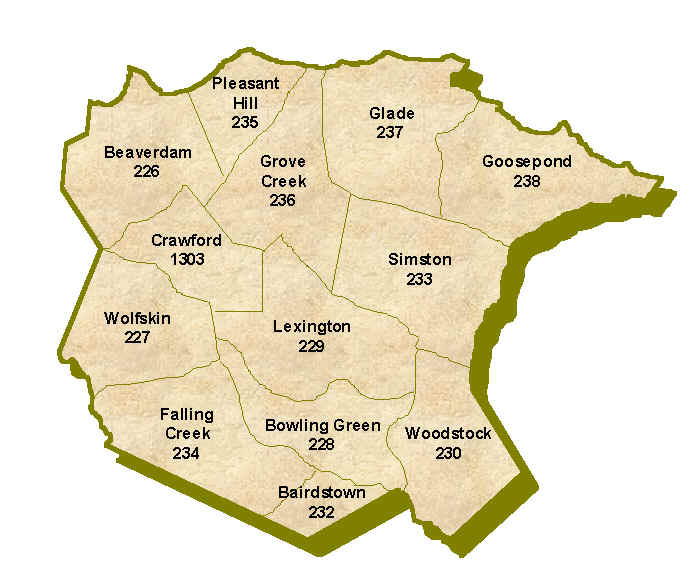 3 Sep 1766 George Seaton to McPherson and Minzies, Henrico merchants, 184 pounds, 400 acres both sides Beaver Creek, which Seaton bought of Peirce Wade. Lines: Edward Carter, Richard Ballenger – 400 acres which Seaton bought of Jeremiah Wade. Still head and worm and pen knife – Deed of Trust to be repaid by 28 Sep 1767. Witness: Thomas Reid, Gabriel Penn, John Barret. 4 May 1767 George Seaton to Henry Rose. Rose on bond to Seaton in trespass action brought against him by Thomas Whitehead, insurance brother; Samuel Smith; lines drapier; Edward Garling; Sugar Baker of Bristol, surviving assignees of estate, debts and effects of Thomas Knox and James Clark, late of the same place, merchants and partners Bankrupts in the General Court vs the same said George Seaton – 60 pounds sterling – to secure Rose, Seaton sells 400 acres on Buffalo. This land was bought from Jeremiah Wade and adjoining lands of Edward Carter, Joseph Ballenger, and Aaron Higginbotham and 24 slaves also names – which have been previously mortgaged to certain creditors. 20 Aug 1768 Jeremiah Wade, Albemarle, to John Parks for 40 pounds, 378 acres head of “Frankling” and Thrashers Creeks, in the coves of the Mountains. Witness: Matt. Tucker, Joseph Ballenger, Drury Tucker. Wife of Wade consents. 20 Aug 1768 Jeremiah Wade, Albemarle Co. and St. Ann’s Parish, to Joseph Ballenger, Amherst for 10 pounds, 114 acres top of Smith’s Mountains and in cove on side of same. Lines: William Cabell, Jr., Joseph Ballenger. Witness: Matthew Rucker, Richard Ballenger, Drury Tucker (X). Wife of Wade consents. 3 Oct 1768 John Parks, Sr and wife, Mary, to Aaron Higginbotham for 40 pounds, 378 acres which Parks bought of Jeremiah Wade, patented to Jeremiah Wade 23 May 23 1763. Witness: Neill Campbell, John Old, Clough Shelton. 1 Apr 1774 William Mitchell, Richmond merchant to Richard Oglesby, planter of Goochland – for 350 pounds, 800 acres South side Buffalo. Lines: Edward Carter – 400 acres sold to George Seaton by Jerermiah Wade, Joseph and Richard Ballenger and 400 acres adjoining other 400 acres sold to George Seaton by Pearce Wade, et al. Witness: Charles Rose, Patrick Rose, Charles Irving, John Rose. 4 Mar 1782 John Whitley and wife, Anny, to Hendrick Arnold for 30 pounds, 100 acres branch of Stone House and patented to grantor at Richmond, 20 Jul 1780. Lines: Richard Powell, Howard Cash, Jeremiah Wade. 27 Jan 1785 John Brown to Adam Brown for 5 schillings on account of Alexander Sinclair; also 3000 pounds tobacco, Richmond inspection – replivin bond of Wyatt Powel. I owe Jeremiah Wade, assignee of James Mainon (? ); also owe Charles Irving as surety on replivin bond to Zachariah Taliaferro; to James Franklin; one slave. Witness: James Reid, Thomas Landrum, Jr, Thomas Wortham. 29 Oct 1791 John Hardwick, Bedford to Daniel Burford Jr., for 25 pounds, 99 acres North branch Harris. Lines: Moses Higginbotham, Col. George Carrington. Witness: Joseph Crews, Jr., Jeremiah Wade, Jonathan Dakin.